Boca Raton FC is proud to announce the hiring of Jim Rooney, whose extensive appearance in American and South Florida soccer makes him a natural fit for the organization. 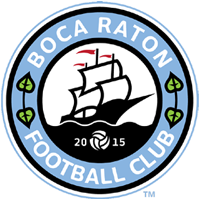 Rooney will lead Boca Raton FC during the 2018 season. Operating as a central midfielder or deep-lying playmaker, Rooney captained the Major League Soccer’s (MLS) Miami Fusion from 1999 to 2001, leading the Fusion to the Supporters Shield crown in 2001 and the US Open Cup Final in 2000. Rooney was an MLS All-Star in 2001 and in total scored 21 times and notched 22 assists in an MLS career that spanned six seasons and playing for the MetroStars, Miami Fusion, and the New England Revolution. As a coach, Rooney has played a key role in helping guide the Fort Lauderdale Strikers to the NASL Championship Series in 2011. Following his stint with the Strikers, he worked with the US Soccer U-17 Men’s National Team at the IMG Academy in Bradenton, where he coached a number of big-name players, including the 2017 U.S. Soccer Male Player of the Year, Christian Pulisic. After that, Rooney joined the coaching staff with the Jacksonville Armada of NASL. Rooney’s extensive national and international pedigree between all levels of soccer will be paramount as Boca Raton FC builds towards the future. Season ticket packages for Boca Raton FC’s 2018 National Premier Soccer League campaign at Atlantic High School Stadium are available now. With packages starting as low as $40 for a full season package, there’s no better deal than getting a Boca Raton FC 2018 Season Passes. For more information on Boca Raton FC season tickets please visit https://www.bocaratonfc.com/2018-season-passes/ or email us at seasonpass@bocaratonfc.com.